Seattle traveling museum coming soon to GHS. Coming soon to Garfield High School’s (GHS) library is an African-American history exhibit for two days on May 31st and June 1st. “The Unspoken Truths” traveling museum is a museum founded and ran by Delbert Richardson, a community scholar and second generational story teller. The museum will be set up for all social studies classes to have a hands-on experience for the two days. This museum contains over one hundred artifacts and storyboards emphasizing African-American history that isn’t taught in schools. Some people think that the artifacts are the most crucial component to the museum, Richardson thinks otherwise. “I’m learning and embracing that I am probably the most important piece [of the museum] because I make the museum and the items come to life,” said Richardson. Richardson was born in Detroit in 1954 and was raised here in Seattle, he for a long time lacked in knowledge of any African-American culture due to the lack of teaching. dle or high school. I didn’t know I was black until I got to college,” said Richardson. ending with Still We Rise. Richardson is not only implementing the museum in just the community but is also planning on implementing the museum in schools to cover the information that has been ‘sanitized’ according to Richardson. 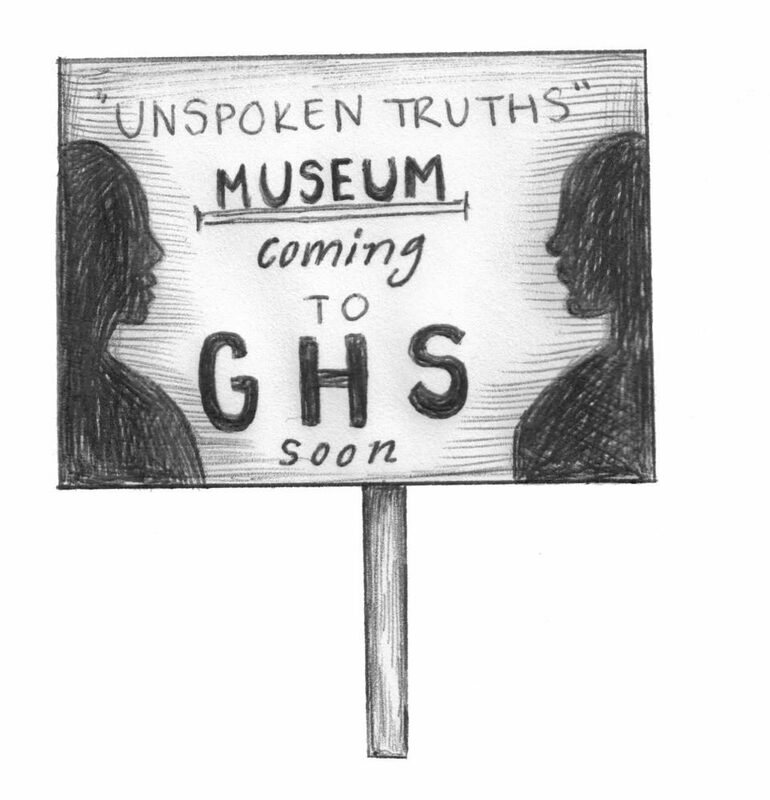 History teacher Richard Truax mentions the goals that will come out of bringing the “Unspoken Truths” museum to GHS. “The idea is that students are going to come, walk through and linger, [Richardson] will be in [in the library] and give his narrative but he’s mostly interested in students talking with each other about how the exhibit is changing their perspective,” said Truax. The museum is not only for history classes but is open to anybody who happens to be in the library throughout the two days. Feel free to stop in and check out the insightful African-American museum, see you there!